The Police Are Looking For Me. What Should I Do? 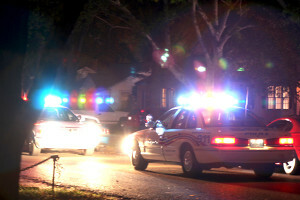 At LEWIS & DICKSTEIN, P.L.L.C., we often get calls from people concerned that the police are out searching for them. Whether you believe you are innocent or guilty of the crimes for which you are being sought, it is ALWAYS crucial that you reach out to a criminal defense attorney to discuss your situation. Many make the mistake of waiting to see what happens before seeking legal advice. By the time criminal charges do come, you may have missed an opportunity to stop a criminal case before it started. Recently, someone called us because he saw his picture on the news in connection with a possible crime. The story was spreading across social media and he was rightfully concerned that criminal charges were imminent. Rather than walking into the police station, this person called us for help. It was a smart move because the early stages of a criminal investigation can be the best time to stop a case in its tracks or, if necessary, to mitigate the damages. In this particular situation, we worked closely with law enforcement to help resolve the situation while protecting the client’s rights. As a consequence of our efforts, police decided to drop the case. Excellent criminal defense attorneys like those at LEWIS & DICKSTEIN, P.L.L.C. are the best resource for people in similar situations. They know when and how to cooperate with the police as well as when to assert your right to silence. They will advise you of your rights along with the possible risks and present you with all the information you need to make informed decisions. Should criminal charges eventually develop, they will stand by you throughout the entire process to ensure that you are treated fairly. If you believe that the police may be looking for you, or you believe you were involved in activities that could lead law enforcement to pursue you, it is time to call the attorneys at LEWIS & DICKSTEIN, P.L.L.C. With decades of experience exclusively practicing criminal law, we will pursue any opportunity to protect you against criminal charges. In situations where charges are not preventable, we will be at your side. 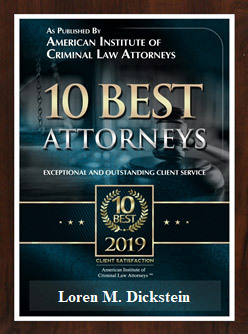 You have the best chance of securing a favorable bond if you turn yourself in with an attorney from a highly reputable firm like LEWIS & DICKSTEIN, P.L.L.C.. You demonstrate to the court that you are taking the matter seriously and with respect for the criminal justice system. You also show the prosecution that, with a tenacious attorney on your team, you will not be steamrolled into taking an unfair deal. LEWIS & DICKSTEIN, P.L.L.C. 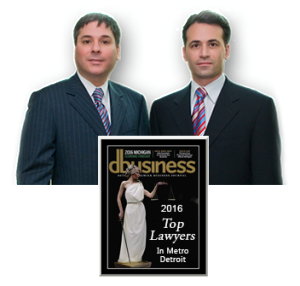 is Michigan’s criminal defense firm. 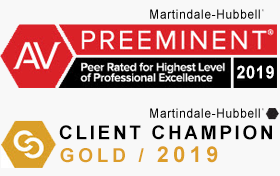 Located in Southfield, we represent clients in Oakland County, Wayne County, Macomb County, and throughout Michigan. We should be your first call if you are concerned that the police are looking for you or if you have been charged. The early stages of a case can be the most important. Protect your rights by calling us today at (248) 263-6800 or completing a Request for Assistance Form on our website and we will contact you immediately.